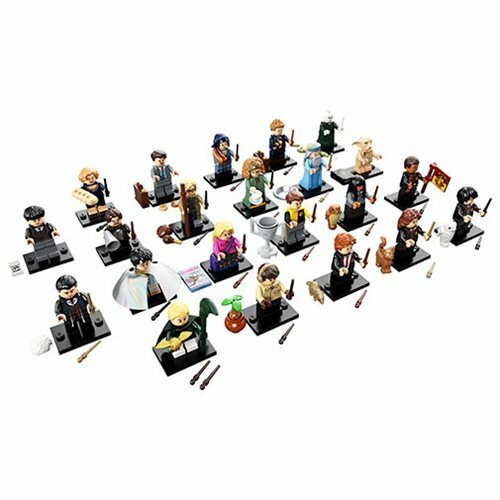 Your favorite characters from Harry Potter and Fantastic Beasts as LEGO mini-figures! There are 22 different characters to collect. You get 10 individually packaged, randomly selected figures! 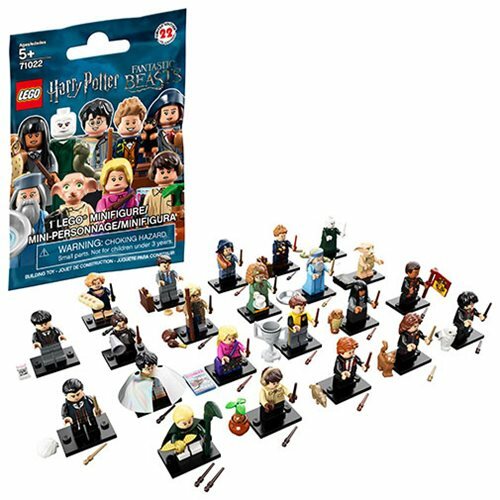 With 22 special Mini-figures in the LEGO Harry Potter and Fantastic Beasts series, the LEGO Mini-figure Collection continues to grow. This collection includes: Newt Scamander, Jacob Kowalski, Tina Goldstein, Queenie Goldstein, Credence Barebone, Luna Lovegood, Neville Longbottom, Cho Chang, Dean Thomas, Lord Voldemort, Dobby, Cedric Diggory, Mad-Eye Moody, Professor Flitwick, Professor Trelawney, Albus Dumbledore, Harry Potter in School Robes, Ron Weasley in School Robes, Hermione Granger in School Robes, Draco Malfoy, Harry Potter in Pajamas, and Percival Graves! Piece count varies by figure. 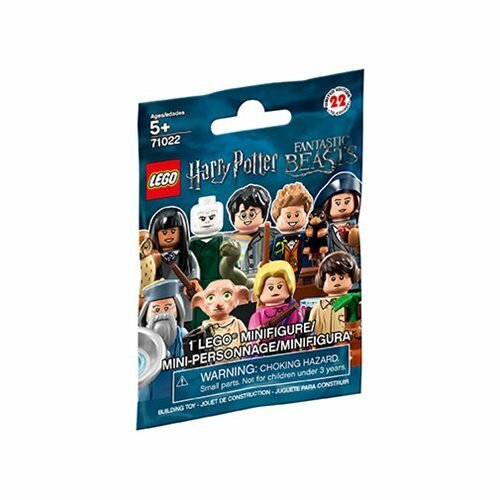 Item LEGO Harry Potter and Fantastic Beasts 71022 Mini-Figures Random 10-Pack gets you 10 individually packaged, randomly selected figures, suitable for collecting and trading. Collect all 22 Mini-figures! Ages 5 and up.